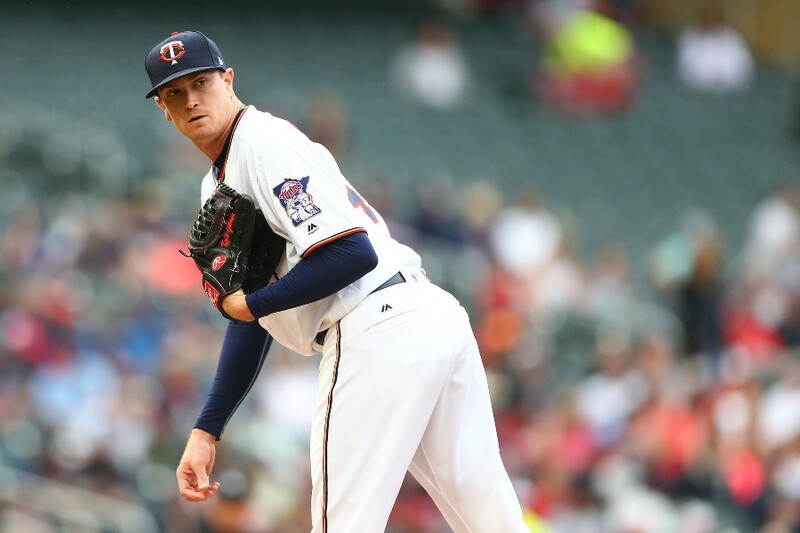 The 22nd pick of the 2009 MLB draft, Kyle Gibson will be making his first start of 2019 on Wednesday against the Royals. After struggling throughout his career he finally seemed to put it all together in 2018. Kyle has been pitching in the majors since 2013. He owns a career 4.47 ERA, 1.406 WHIP and a 2.04 K/BB. He only had one year before 2018 where he finished with an ERA under 4.00 (2015.) Time seemed to be running out for the Twins first rounder to establish himself. Then the 2018 season came. In 2018, Gibson finally was able to solve some of his problems. In a July 2018 interview he discussed it saying "I was putting too much stress on myself." Gibson said the key for him was just getting out of his own head. He realized in 2018 that he had to go back to just having fun with the game. This led to a fun comeback story for Kyle Gibson. Kyle finished the season with an ERA of 3.62 (career best), a WHIP of 1.32 and a K/BB of 2.27 (career best). What did Gibson do differently in 2018 that led to success? Let's take a look. His pitch velocity for all five of his pitches went up. The fastball went up from 92.3 in 2017 to 93.3 in 2018. The slider, change up, sinker and curve also all went up by 1+ MPH in 2018. He used the slider 3.1% more and the curve was up 4% from his career usage. Swing percentages actually stayed relatively the same, but contact%, balls swung at outside the zone, and swinging strike% all went up by a percentage point. These one percents aren't much but they could have led to line drive percentage and Home run/Fly ball ratio being decreased as well. A different key stat that was increased was the percent of soft hits allowed. (19.5% in 2018 compared to 15.4% in 2017). Why do I think he will maintain the success? In 2014 and 2015 we could actually see the pitcher he was becoming, before 2016 got off to a horrible start and he got back into his head. In 2017 when Gibson was still struggling, he was sent to the minors to regain his confidence. He threw 17.1 lights out innings and was called back up. Gibson then threw all of September with a 3.28 ERA, a 1.121 WHIP and a K/BB of 3.88. Here are Gibson's batted ball ratios. He is very well set in the GB inducing category (49.8%) when compared to the MLB average and his line drive percent took another dip closer to average to 22%. It is clearly shown that the years Gibson has seen the most success (2014, 2015 and 2018) he has been able to produce a lot more ground balls. Gibson carried that success all the way through 2018 and is looking like he has regained his confidence. The key for him is the fast start to the season. In 2016 and '17 the slow start to the seasons derailed the whole thing, while 2014, '15 and '18 All started off much better. Expect more of the same from Gibson as he takes the number 2 spot in the rotation behind Berrios. They could be one of the best 1-2 punches in any rotation, especially with both showing improved strikeout capabilities. Berrios struck out 10 in the opener and Gibson had a swinging strike% of 11.5% last year. Gibson has had an interesting career to watch progress.I think the Gardenhire/ Anderson regime messed him up some. Out goes Rick Anderson and in 2015 Gibson starts growing suddenly and has his best year.He starts throwing a 93 mph 4 seam up in the zone, his slider becomes an out pitch, hes now striking people out and not just endlessly nibbling, suddenly he becomes a good pitcher.There is obviously way more to why he has broke out but I think being developed poorly was a big part of what was holding him back. Sometimes I wonder what Scott Baker could of done if he was a prospect now/ how much damage did the old twins way do to him. → Can Gibson carry over his 2018 success?